Announcement Creating timeless treasures that bring warmth, color, and love into your home. Shop the full collection below! Creating timeless treasures that bring warmth, color, and love into your home. Sharon was great to work with - very responsive and accommodating of my requests. She got my doll quilts done and had them shipped within a few days . Highly recommend! Amazing to work with. Took my custom order and turned it into reality. Was super fast and communication was great every step of the way. Highly recommend!!! 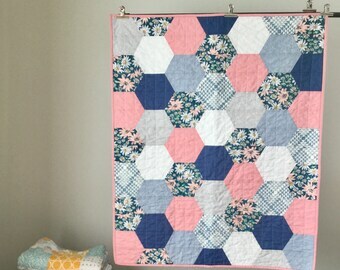 First finish of 2019, a sweet sophisticated quilt for baby or toddler. Would even make a great lap quilt at 43x43 inches after washing. 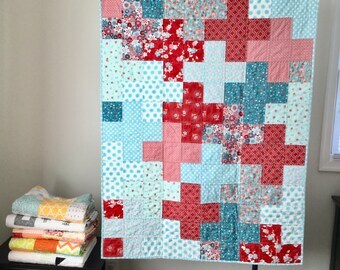 Straight line quilting for a classic look! Beautiful quilting on this heirloom quality twin size quilt! Thanks so much for visiting my store. My grandkids call me ShaSha and ShaSha LaRue is a nickname spun off that. My grandmother taught me to sew growing up and I have always enjoyed it. 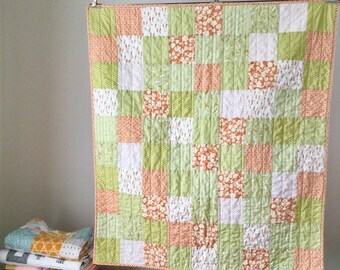 I caught the quilting bug 4 years ago and have since found that a house can hold only so many quilts or so much fabric. I love putting fabrics together and mixing traditional with modern touches. If you are unhappy with your purchase please let me know immediately. Please pay within 24 hours of purchase. I accept payment through paypal, major credit cards and etsy gift cards. Your package will be shipped US Priority mail on the next business day after receiving your payment. I will send you an email with a tracking number as soon as it is available. International orders are shipped USPS First Class International. Most international orders are able to be tracked. Packages usually arrive in 2-3 weeks but I cannot guarantee any dates. All custom fees, duty fees, and taxes are the responsibility of the buyer.